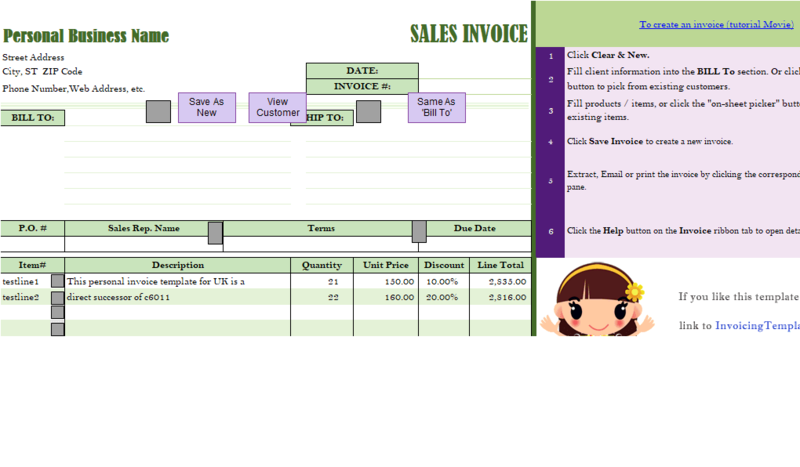 Here are our templates closely related to Online Invoice Templates - 20 Results Found. 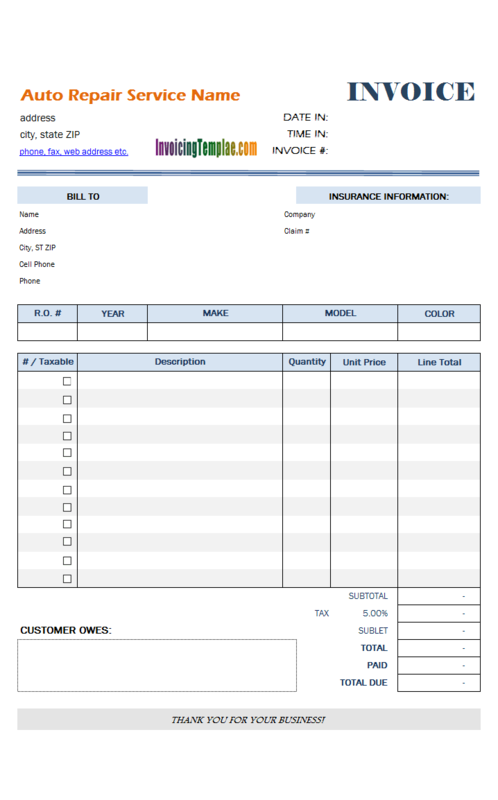 July 12 2016: Please visit the revised version of this auto service invoice template at Auto Repair Service Invoice with Car Lift Background Image. 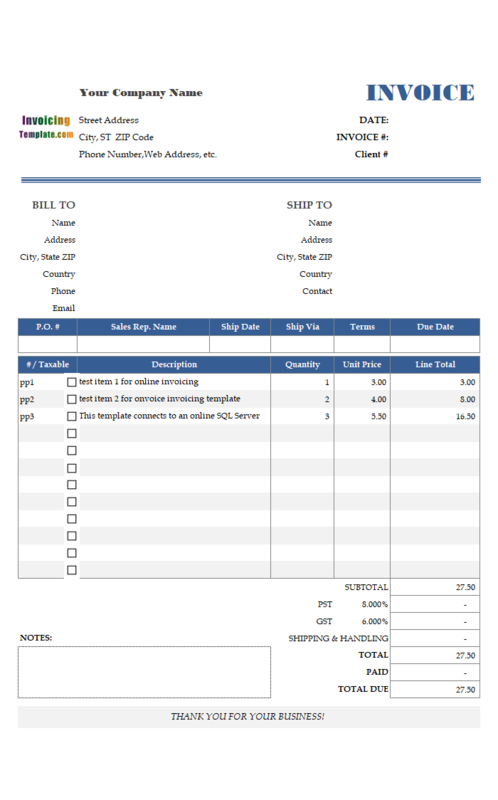 The color column is a custom field defined both in the Product and Invoice Body database tables, which is the most noticeable difference between this customized invoice template and the original 5 Price Levels (Sales, Amount) invoice template. 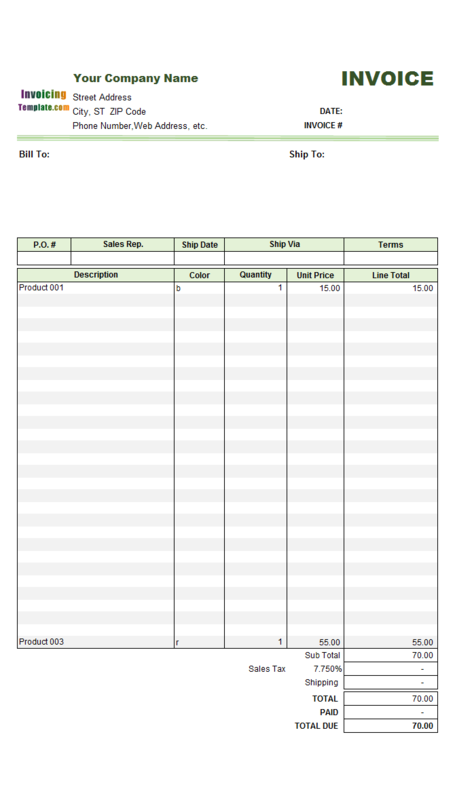 This means that for each product, you can set its color property, and the color values are filled automatically when you choose products from the database. 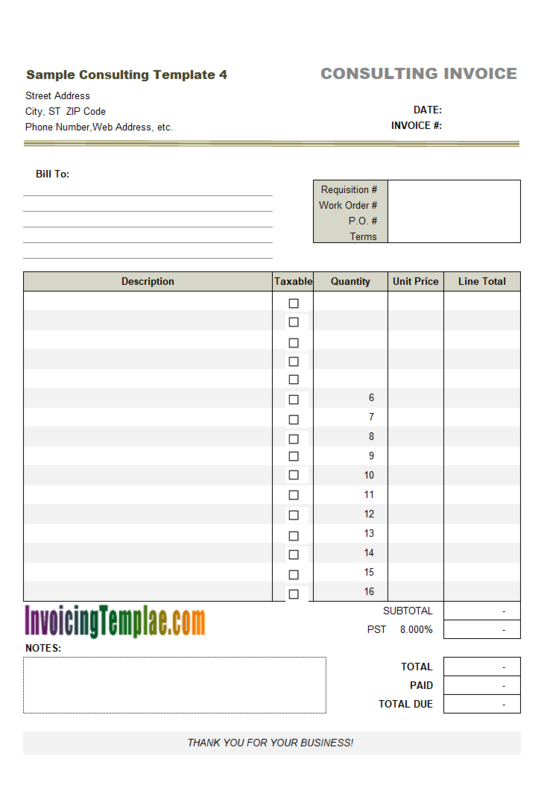 Like all the other invoice templates in this serials available here on InvoicingTemplate.com, the full power of the invoice template comes only with the installation of Invoice Manager for Excel, although the free version of this "Form with 5 Price Levels (Sales, Amount, Custom Column)" invoice template can also help you create professional and beautiful invoices. 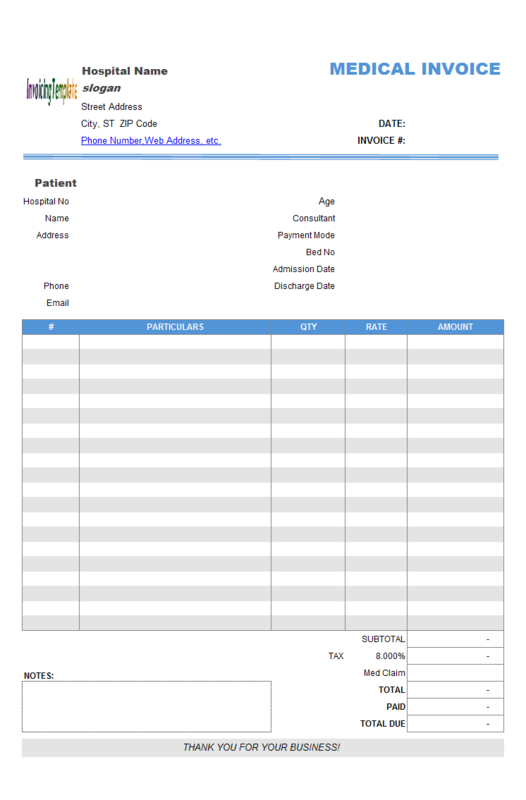 This free personal invoice template for UK is an Excel spreadsheet template that features a UK ceremonial soldier on the bottom of the sheet. It also shows the UK Sterling currency symbol on total fields. 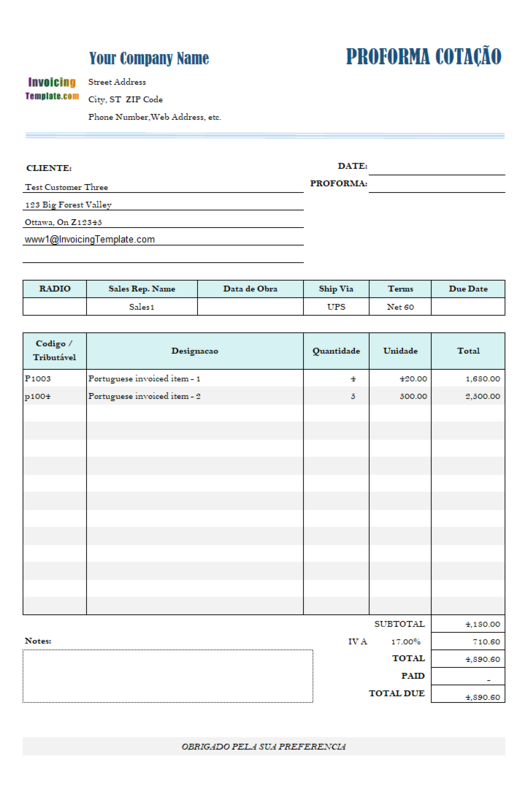 This template in Portuguese language set the title of the "Invoice" worksheet to " PROFORMA COTAÇÃO". 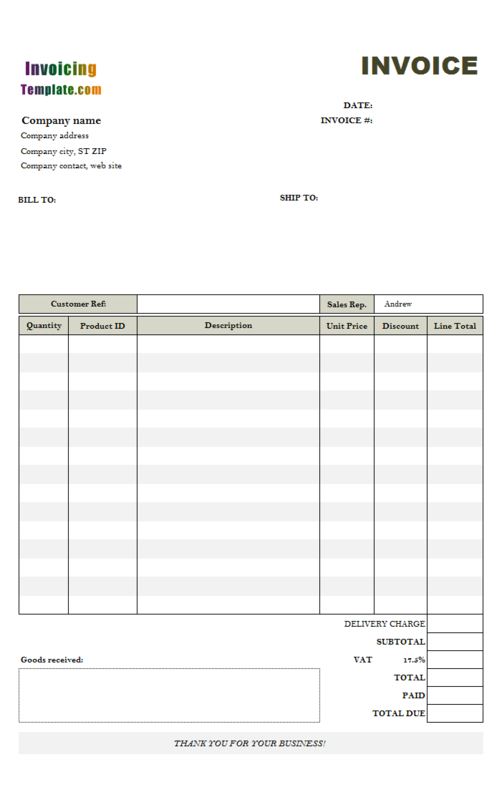 The 5 columns on this template are "Codigo / Tributável", "Designacao", "Quantidade", "Unidade Total". 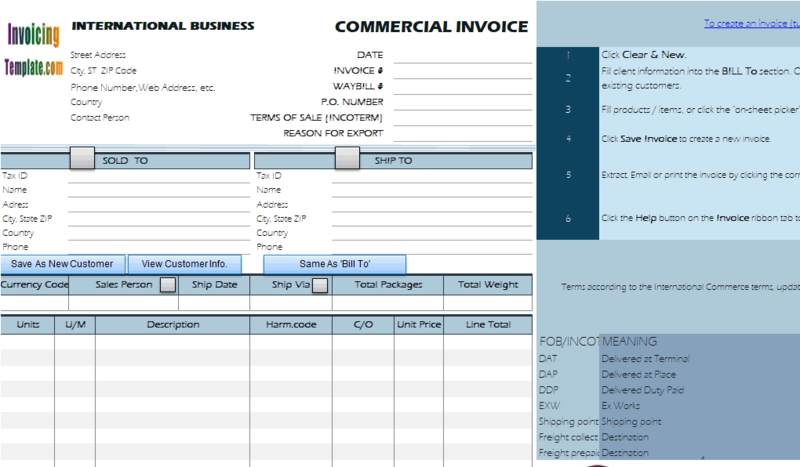 The template c7015 Commercial Invoice for Export in Excel was published on December 2013 here on InvoicingTemplate.com, which was originally published on office-kit.com as a sample of using custom fields. This template c7037 has exactly the same number of fields as c7015, and the layout of the fields are similar too. This means that, if you use Invoice Manager for Excel (namely Uniform Invoice Software), the databases of the two templates are interchangeable. 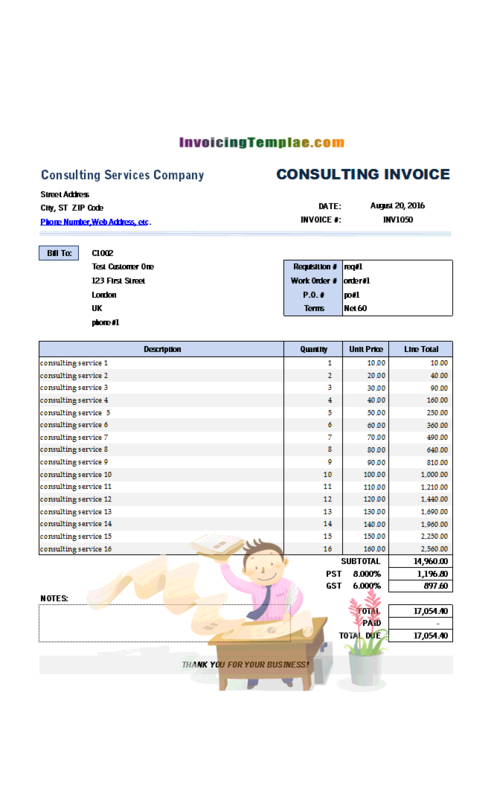 Here on InvoicingTemplate.com you can also find detailed tutorials on creating deposit fields, at c5078 Basic Service Bill Sample with Deposit and c1003 Security Deposit Receipt Template. All these templates can be downloaded for free. 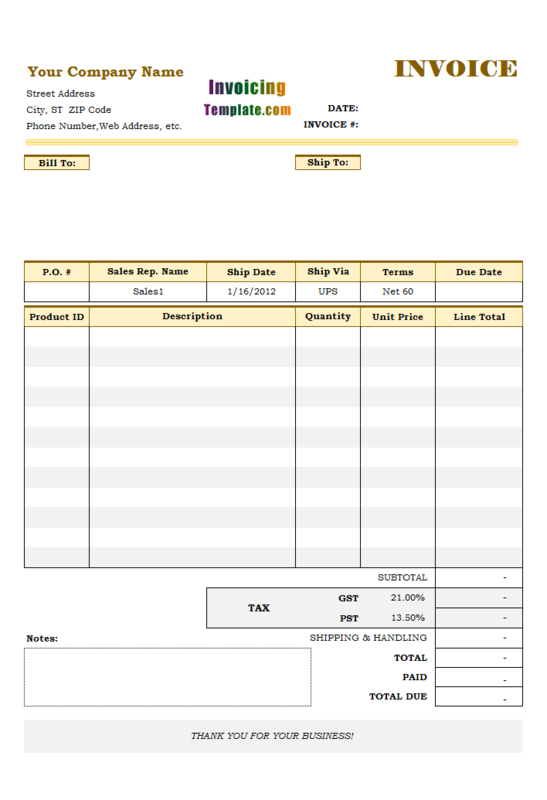 The voucher# field is a must-filled-in field. It should be filled with a unique (and usually consecutive) value. If you use Invoice Manager for Excel (namely Uniform Invoice Software), the voucher# could be generated automatically by clicking the "Save To DB" button. 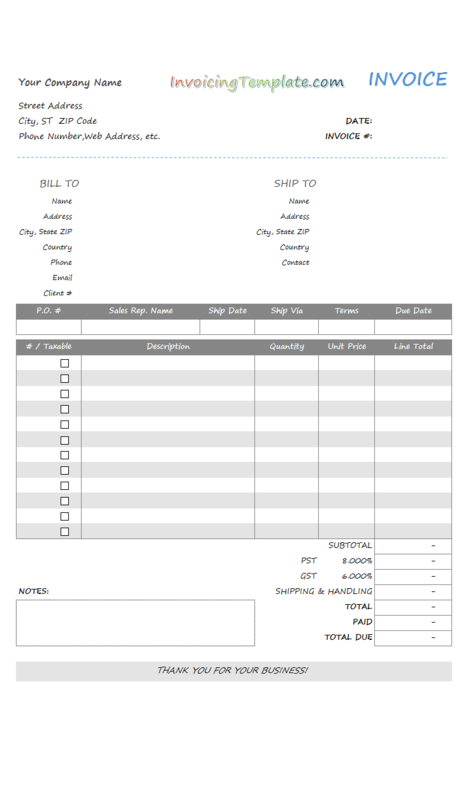 The steps involved in moving the Marking Charge column can be found at Receipt Form for Gold Shop (2)here on InvoicingTemplate.com, and we also have a brief introduction on the custom field Rate at Receipt Form for Gold Shop (3). 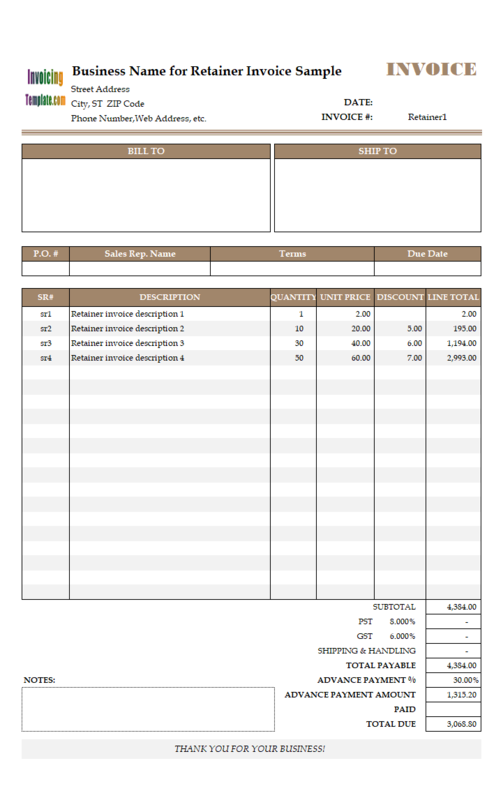 In this cash receipt template, we combine the two customizations to create a new receipt template format and layout. 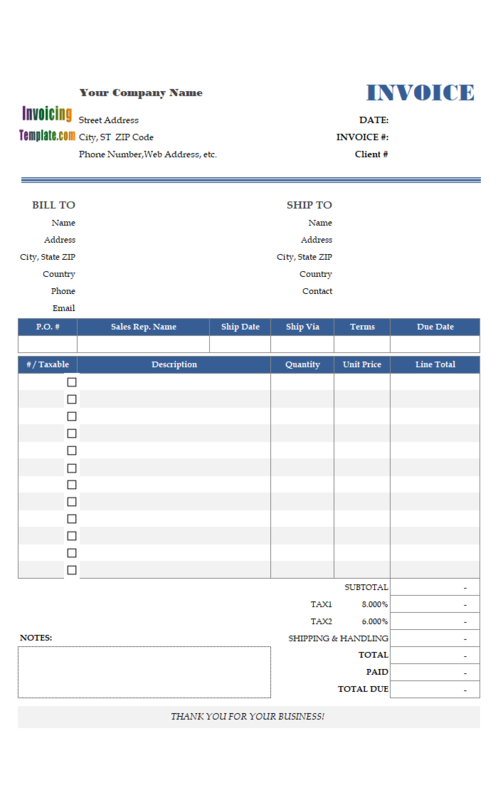 In order to create this free service receipt template from the original payment receipt template, we move out all the shipping fields from the printable receipt form. 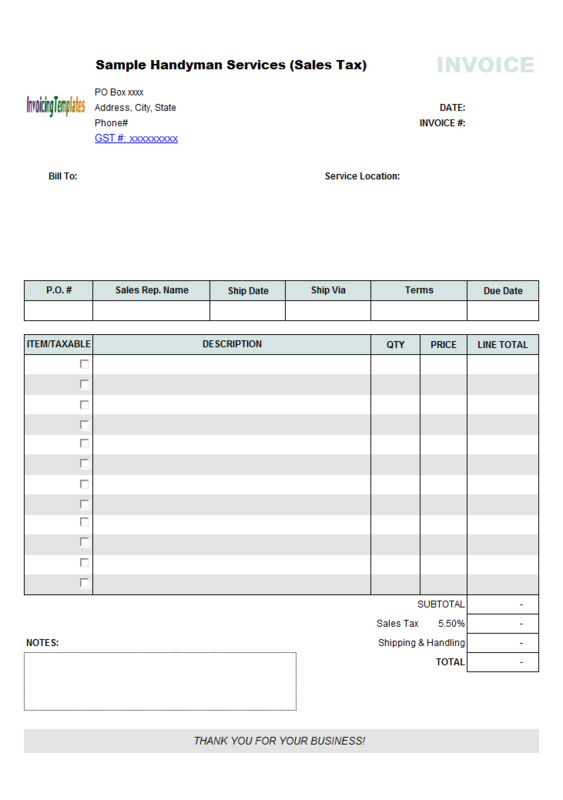 For this reason, this blank receipt template is more suitable for service businesses where shipping addresses are usually not necessary. 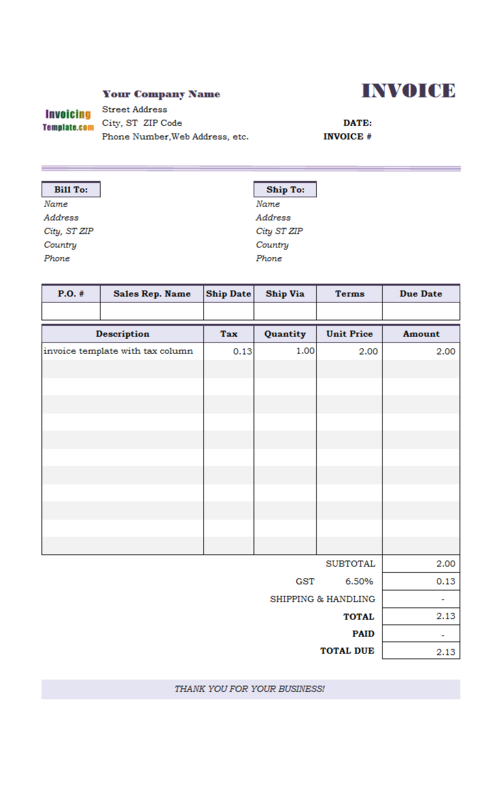 Both Photography Invoicing Template (General), Photography Receipt Template (Detail) are titled with the word "Photography", yet they have very different format layout. 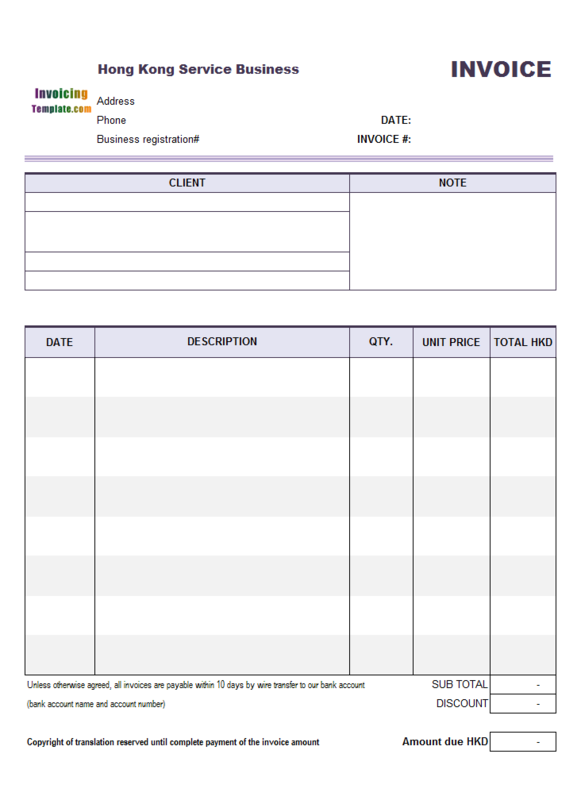 Photography Invoicing Template (General) / Photography Billing Format (General) (c4043) was a general invoicing format that should be suitable for many business types, whether you are providing services or selling products (images). 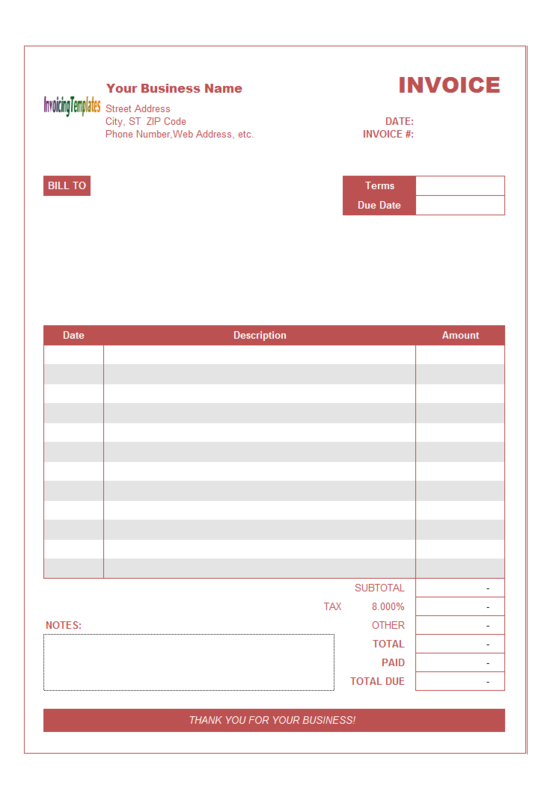 On the other hand, Photography Receipt Template (Detail) / Photography Receipt Format (Detail) (c8005) is basically suitable for businesses who print and sell images. With the rise of digital photography several years ago, photography has made rapid strides. With the passage of time photography has progressed into various fields such as photojournalism, food photography, travel photography, and many more. We design these two formats and layouts for you to choose the one you like. 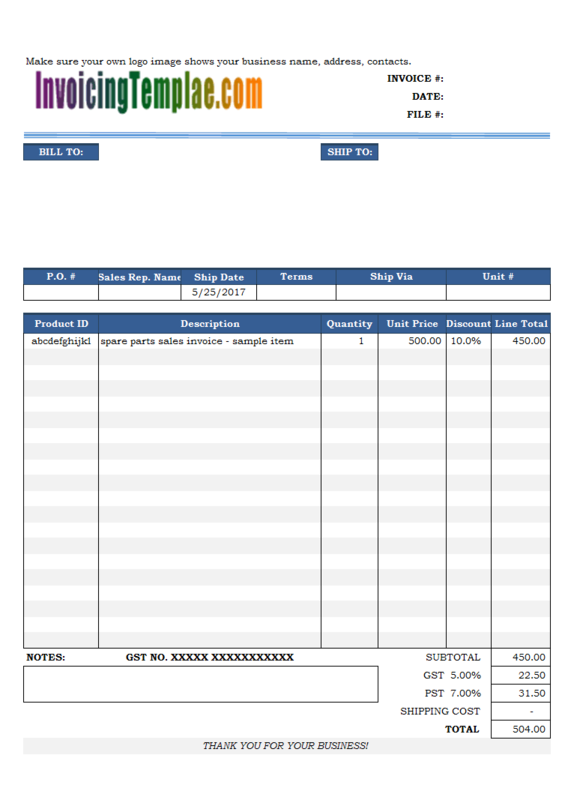 Note that these formats, including the PDF invoice template, are just samples on how to customize the default sales invoice template shipped with Invoice Manager for Excel (namely Uniform Invoice Software). 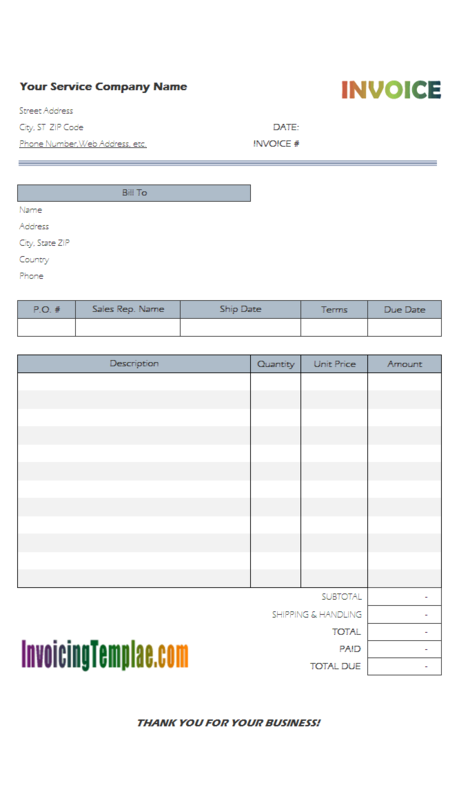 As always this receipt template is provided in two formats - one freeware format that you can use without installing Invoice Manager for Excel (namely Uniform Invoice Software), and another edition that you should use with Invoice Manager for Excel (namely Uniform Invoice Software) installed. 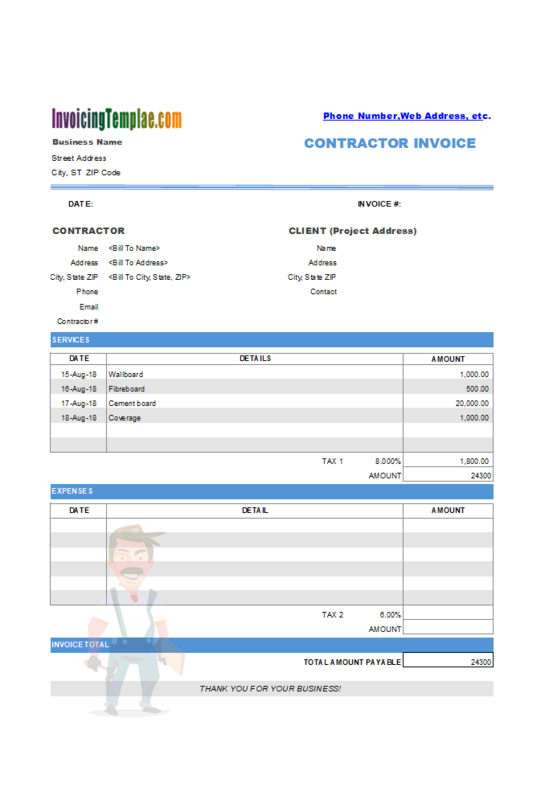 By installing Invoice Manager for Excel (namely Uniform Invoice Software), you'll make all the buttons on the top of the payment voucher form work for you. For example, when you need to create a new payment voucher, simply click the "Clear & New" button, which will clear all the cells that you need to fill in, and some cells are filled with default content. For example, the "date" field is filled with the current date. If you click the "Save To DB" button, Invoice Manager for Excel (namely Uniform Invoice Software) will save the current voucher to a backend database. This allows you to recall the saved business document at any time, and allows you to generate sales report, payment report, product report etc. If you click the icon button on the voucher detail section, Invoice Manager for Excel (namely Uniform Invoice Software) pops a product list / item list, that allows you to pick products / items instead of typing manually. Use the search tool to easily locate and download your favorite billing format. You don't have to be an artist or Excel professor to have a beautiful form. We've prepared a number of templates that you can choose from. Our templates are pure-Excel based template that are not locked with password, built without macros - just simple spreadsheet forms with Excel formulas to do basic calculations. It is also very helpful for customizing the sample template if you display gridlines and row and column headings.